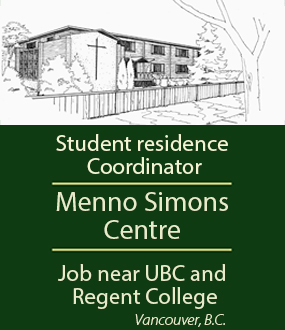 Do you recognize this “Mennonite centre”? 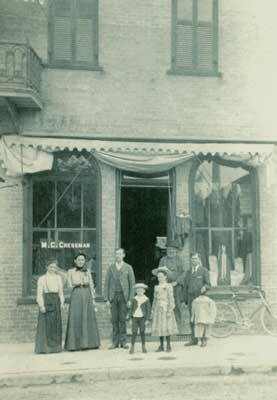 Mary Ann Cressman, second from left, her husband Menno C., and others stand outside the family’s dry goods store at 82 King Street East, Kitchener, Ont., circa 1905. Mary Ann lost an arm in a buggy accident, but that did not deter her from becoming the “founding mother” of the Mennonite Women’s Missionary Society in Ontario during the First World War. Travelling to churches, she urged women to “take hold” of the tasks of supporting local needs, war relief and missionary efforts. Menno C. offered the store to collect and ship the garments sewn by the women. 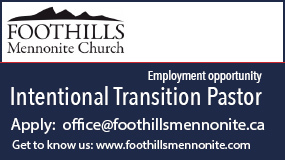 Every day, staff and volunteers at the current “Mennonite centre” at 50 Kent Avenue in Kitchener “take hold” of her vision.